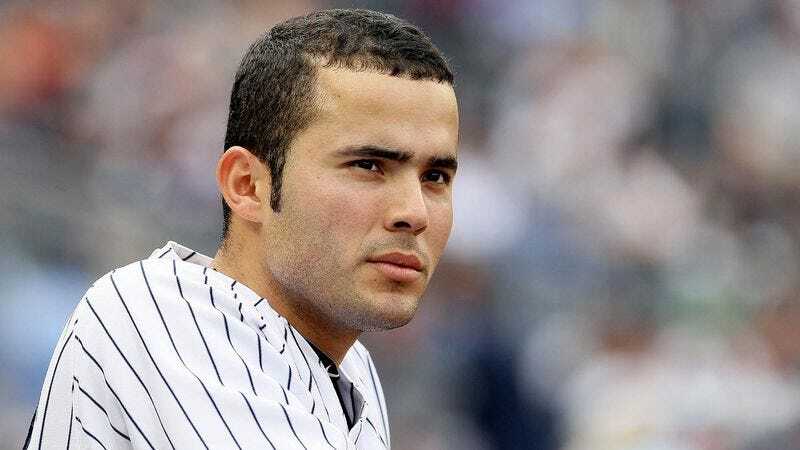 SEATTLE—Introducing former Yankee farmhand Jesus Montero to the media Friday, the Seattle Mariners said they have high expectations for the newly acquired catching prospect, a player they hope will eventually become great enough to desert them for a hefty free-agent contract with the New York Yankees. "It is every baseball executive's dream to spend years developing a talented young man so he can then be poached by the Yankees at the peak of his ability with a disgustingly high offer you cannot possibly match," beamed Mariners general manager Jack Zduriencik, who presented Montero with both a Mariners jersey and a future Yankees jersey he might one day wear, complete with a patch mourning the death of Yogi Berra. "We'll miss Michael Pineda, but we hope Jesus can join him one day and they will win lots of world championships for the Yankees together." Zduriencik also said he will commit suicide as soon as he secures a pension for his family.